The Intelliglobe is an interactive globe that represents the most advanced smart globe technology on the market today. 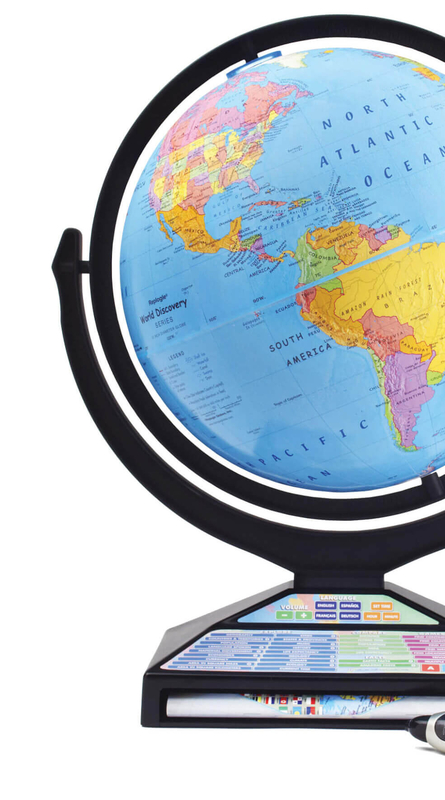 This fun kids globe is both educational and entertaining, containing geographic, economic & general world information that is truly useful and important for ages 5 and up. All information is updatable via the Internet to keep your globe up to date in a constantly changing world. The globe ball is a full 12 inch model with raised relief that is featured on one of our well-established traditional globes. But here is the difference - touch any spot with the wireless pen and the Intelliglobe comes to life with words and music! 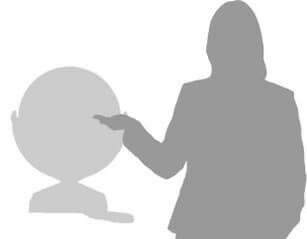 Many of the categories have multi touch modes that feature more information as you keep touching the globe in the same category. All features and games come in 4 languages - English, French, German and Spanish all narrated in both male and female voices. The Intelliglobe also comes complete with a 48 page World Discovery Book. This book features colourful illustrations and also works with the pen to unlock in greater detail more information about countries and also explores world and state flags, landmarks, animal, dinosaurs, foods, explorers, moon map, planets, stars and more. All this adds up to the most information ever offered in an interactive globe ready to use right out of the box. The pen is powered by two AAA batteries and includes a headphone jack for quiet play. The Intelliglobe features a USB cable that provides connection to any computer with Microsoft operating systems and Mac OSX 10.4 or later. 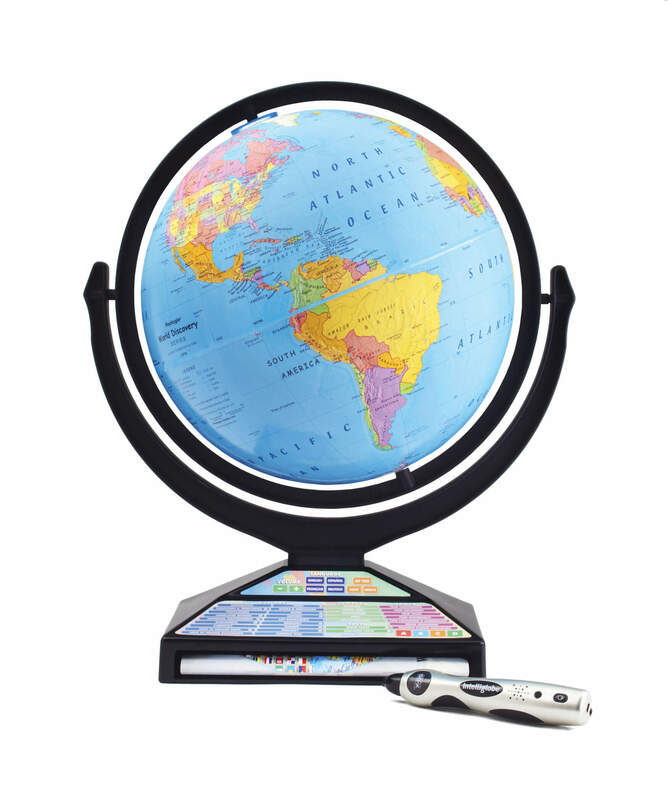 Visit Replogle Globes for information about how to update the Intelliglobe. the interactive globe is fantastic BUT. Good value-for-money, educational but fun! A fun way of bringing a globe to life. Excellent globe - interactive and fun.